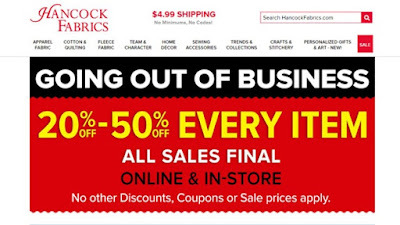 Hancock Fabrics will liquidate and close it's Newport location. FTM file. 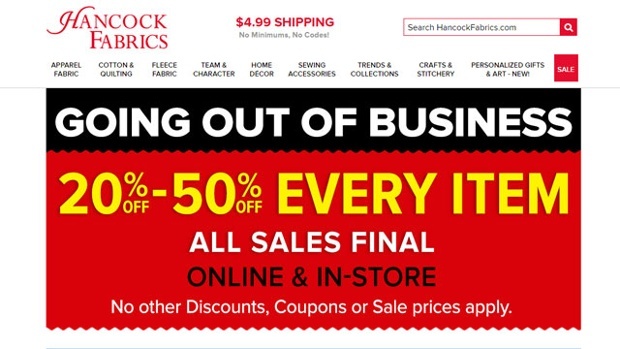 Hancock Fabrics will liquidate its assets and close all its stores, including the Newport Shopping Center location starting immediately. The nationwide fabric store owes nearly $84 million to three secured creditors who have first dibs on any proceeds coming from the liquidation of its stores. The "Going Out of Business" sale is advertising 20-50% off every item. Locally, there is another Hancock's Fabric store in Cherry Grove near Mt. Carmel. Hancock's top three secured creditors have provided financing for the company. Wells Fargo is owed the largest chunk, more than $57 million, followed by GACP Finance at $18.3 million and Deutsche Bank is owed $8.4 million. The liquidation is expected to be completed by July 31. Read more on the liquidation by The Consumerist. 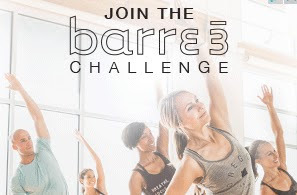 Barre3 Fort Thomas. This is an advertisement. Back in February, the long-troubled craft store chain Hancock Fabrics filed for bankruptcy for the second time in a decade. This time, there will be no reorganization. The chain planned to close 70 stores and tried to find a buyer for the remaining 185 that would keep the open and preserve thousands of jobs across the country. The winning bidder in yesterday’s auction in bankruptcy court was Great American Group, a liquidator. If that name sounds familiar, you’ve probably come across the company while bargain-hunting in the past. Great American Group is part of what Consumerist once called a “notorious cabal” of liquidators known for garish signs, terrible deals, and taking the “all sales final” policy very seriously. Liquidation sales start today, and include the chain’s website. In traditional liquidation sale style, the deals aren’t very good yet. While the chain’s closing is welcome news to some of the nation’s 8-year-olds, it leaves fans of sewing clothing with fewer in-person shopping choices. While home sewing is making a comeback, things aren’t as they were when the chain opened and sewing one’s own clothes was a common skill and the more economical choice. Hancock Fabrics last filed for bankruptcy in 2007, but since its re-organization has only posted a profit once, in 2009.